One more attractive release of 2015 came out at that time when popular online magazines have already closed their voting charts, listeners have chosen the best metal albums of the year, and people in the Internet have started their discussions about the Grammy nominees. However, the work of the unknown musicians who called themselves simply "Batushka" ("father", "priest", "parson" from old Slavonic language — Noizr Zine), managed to make some noise and sold all copies of their debut album just in a few days. A week after "sold out" was declared even on branded "Batushka" T-shirts. We could not but note the release, which the faceless icon occurred among the news of almost every online magazine. Twitter was just overloaded with passionate opinions marked with #batushka hashtags. Sure, even the band’s name bacame extremely attractive. The sarcastic album "Litourgiya" was released online on the 4th of December by some unknown, bold musicians. But on the same day the CD came out on the official website of the Polish label Witching Hour Productions, which is known for its collaboration with Behemoth, Non Opus Dei, Azarath, Suprame Lord, Trauma and others. 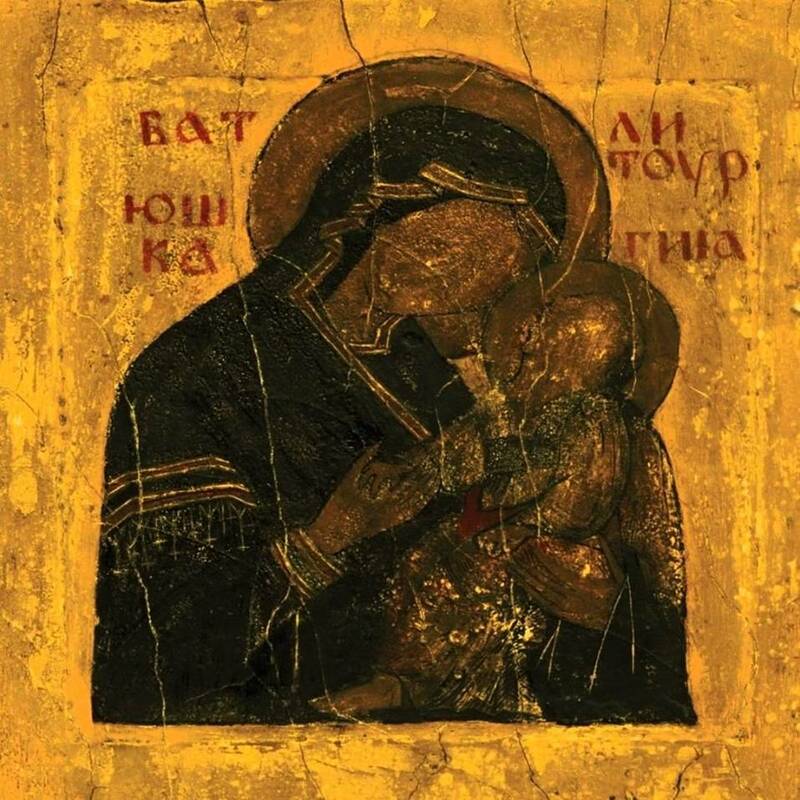 The album consists of eight songs called "yekteniya" (an important part of any orthodox church worship, prayer — Noizr Zine), the tracks that simulate the orthodox liturgy. A kind of sinister mass full of irony, with doom/black metal elements, spiritual singing, church tinkling and echo effects. Deep, lowered bass, emphasizes the powerful, melodic guitars. The tremendous drums, aggressive vocals combined with imperious "sermons". No complicated and tricky parts, the music is quite simple, but enjoyable. "Litourgiya" is a strong, dynamic release. Its multifaceted atmosphere creates a complete picture of the gloomy liturgy procession. As for the most exciting tracks, I marked out "Yekteniya 2", "3" and "7". At the same time every song is a great work, there is nothing superfluous in the record. Classic timing does not exceed the 42 minutes, and it will allow you to enjoy every "Yekteniya" without losing the overall picture of sinister liturgy. Another special trait of the LP — its unique design. Just three hundred special wooden sets, which included CD, vinyl and a branded booklet were sold in a few days. Today the listeners are able to get standard version of CD, vinyl and digital album. There is no doubts, "Litourgiya" will surpass the dozens of 2015’s ordinary metal albums. The outstanding label, exciting material and its quality make the listeners guess whose famous names are hidden behind the caricatural title "Batushka". What is the purpose of the project, musicians’ incognito, similar questions became popular among the audience. As for live performances, the band is going to "break in" with their work starting from Russia. The first two concerts will take place on the 8 and 9 of April in the clubs of St. Petersburg and Moscow. The information on the band's official Facebook page promises the unique show with a special choir participation.